I love the idea of reflecting back on my week each Friday and seeing the positive steps I made towards my life goals and habits I want to develop. Otherwise my life kind of passes by me, in a blur! I also like the idea of Sunday night or Mondays taking some time to remind myself of what my life could look like during the week if I keep it all in balance. I won’t be “wonder woman” in every area (or maybe ANY area! ), but I can at least feel like every week I keep those goals in mind as I make decisions about how to spend my time! When I take my eyes of the goals I can so easily end up spending WAY too much time doing things that aren’t really all that significant to me, throwing my whole week off balance. Seeing my list in the morning REALLY helps me decide what to plan for the day. As I reflect back on this past week, I feel pretty good about how many of the goals I worked into my week. This month is all about BALANCE. It wasn’t a perfect week, but I was mindful of everything I wanted to do. I even invited people over tonight! We are still in boxes and have no lamps or curtains, but I am striving to be hospitable anyway! Was your home a beautiful place to be this week– not just on the surface (although that is great too), but in how it feels? Do you feel like you made positive steps towards the beautiful life you desire? How are you motivating yourself? Feel free to share comments or add your post to Mr. Linky! I love being inspired by all of you! 1. Please link ONLY to your post related to “A Beautiful Life,” (you can call it whatever you want, of course, just make sure it is on our topic!). No links to home pages or random posts, k? Just want this to be inspiring and be on topic! Random posts or links will be deleted, sorry! 2. Please link back to The Inspired Room from your post so that people will know they can participate in A Beautiful Life with us. I need motivating, and fast…:-) I am stuck, trying to figure what to do. Maybe it is my age, menopause and all that. But do feel very trapped, and less confident. Looking forward to seeing lots of posts! Terri Steffess inspiring blog post..A Beautiful Life! Bella Casas inspiring blog post..Hooked on Etsy! One of my biggest goals this year is to reconnect with old friends. Once I set my mind to it, it has proved to be far easier than I ever imagined! Oh dear. This week hasn’t felt very beautiful. Instead I’ve been feeling every bit of my imperfections. Balanced living has been but a dream. Hopefully the weekend will give us a chance to recharge and face next week with a renewed sense of confidence and determination. Glad to hear you are getting settled in and having guests soon! Nothing makes a house feel more like home than hosting the ones we love. I am really struggling in this area right now. I know I sometimes focus on the appearance of things instead of relaxing and enjoying life. We are in the middle of designing our dream home and I am a bit worried about the square footage. We currently live in a very cozy 1,050 sq. ft. Our new home is just a little under 4,000 sq. ft. I am excited about all the room but a little concerned about maintaining that much space. I wonder if I will adjust or begin to resent all the extra work? Thanks for doing this…I’m learning to find beauty in everything. 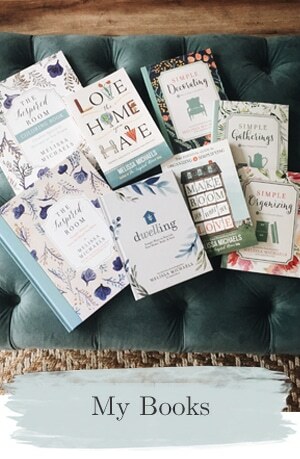 I just love your beautiful life posts Melissa. I feel so good about my day yesterday. We got some snow and schools let out early, and all evening activities were cancelled. So, I invited my kids friends over, let them all play in the snow while I made cookies and hot chocolate. All when I really should have been working (but I stayed up late to get my work done instead). They had a ball and it’s those days they will remember! My work will always be there. Have a great weekend! 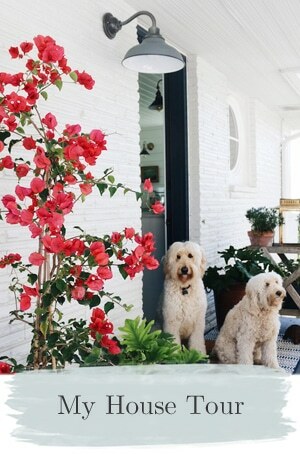 Dawn-Hydrangea Homes inspiring blog post..Pink Friday – "In With the New"
My expectation is not perfection either, I did have a great week focused on my goals but I lean towards being a great starter and a not so great finisher. I expect this to be an up and down process and am willing to make the journey. Blessings on your weekend and up coming week as you continue to nest! Thank you for hosting. My life was touched this week by a suicide, not a family member or friend, but a client. I read the suicide letter he left behind and it’s made me really appreciate my life, but it’s also given my motivation not only to make my life beautiful but to share the “good” in my life with the people who have made that “good” possible, my dear husband, my kids, my father, stepmother, friends etc. Michelles inspiring blog post..A Beautiful Life? Having a beautiful home for me, means recognizing the beauty around me, enjoying the little things. When I don’t take the time to enjoy and appreciate that which I have no control over (nature), I find that I try to control too much. When I stop to take notice, my children do the same. This philosophy helps to keep things in balance and in perspective. Not a perfect week and in a fog this Friday, but yes I did have a beautiful moment this week in my home. My entryway hall closet is my next step in organizing our home and it is also teaching me life lessons… of loving the now and seeing what is in front of me. Have a lovely evening with your company. 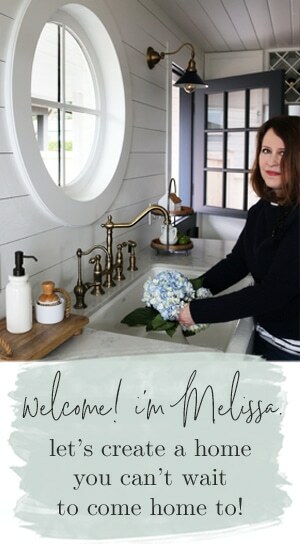 I’ve missed reading your blog so much, Melissa! This post alone reminded me why I used to love visiting you. I’m slowly trying to get myself back into blogland and plan on being a regular visitor again. I am pleased to have “found” your blog today …. I’m enjoying reading everyone’s comments and then clicking on the links. So much inspiration to live a beautiful life! I’m not feeling much of anything positive toward my home right now, since I’m irritated beyond belief and moving out this weekend. Maybe I’ll have some positive feedback next Friday. Well, as far as exercising goes…oh dear. BUT, I was inspired by my sister this morning: we have a contest, and the first person to go below a certain weight will receive a dozen handmade napkins from the other. She was on her Wii Fit every day this week…guess who’s strapping the kids into the stroller and hitting the pavement? :) So I guess that’s what’s inspiring me today :) Oh, and I have a giveaway on my blog today…my first ever! I’m terrified that it’s going to be an enormous failure, but it’s sure inspiring me to get busy in the craft room! I am beautify-ing my house today so I can relax and enjoy it over the weekend. If my house if clean maybe it will motivate me to get out and exercise. Getting my health in shape is my goal this year. I always enjoy your pictures and inspiration. I just linky-ed for the first time. I shared my 2008 goals and how they turned out. Next week I’ll share my 2009 goals. 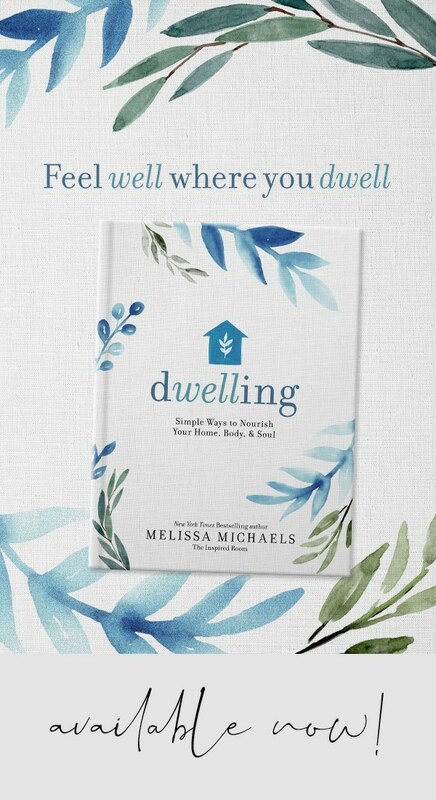 Hi Melissa, and thank you for the inspiring post. Yes, vacuuming counts! I hate vacuuming, but it is helping you keep a healthy home, and Weight Watchers doles out activity points for it! Whenever I feel chilly (trying to save on my energy bill), I whip out the vacuum and I’m warmed up in no time! I keep writing down the word “FOCUS!” in my calendar every day. I think I have serious activity A.D.D.. No sooner do I begin to clean out a cabinet than I’m sorting through the CDs in it and deciding they need to be alphabetized. Next thing you know I’m downloading some, the cabinet is still a mess, the CDs are all over the floor and I’m playing on iTunes. Then I can’t even vacuum b/c the floor is covered in the detritus of my simple “clean one cabinet” attempt! Anyway, I guess the answer for me is Baby Steps and Focusing, as well as not beating myself up too much! So as I’m thinking about what post to link… it hits me! Even though I fuss over the ugly cabinets in my kitchen, that space is still beautiful to me. I love it because I love that fabric. EVERY DAY I love that room because I look up and see that fabric. Isn’t that all it takes? Just looking up and finding what is beautiful to us. When I look up at those valences I see the sunshine through the windows (and try to ignore the fingerprints on it) and the beauty of the day and I’m instantly lifted. When I look up I see how many ways the Lord has blessed me and how much I have been given and all the opportunities that are mine. So, I share what inspires me each morning as I face whatever mess might be lurking in the sink… the beauty I see when I look up. 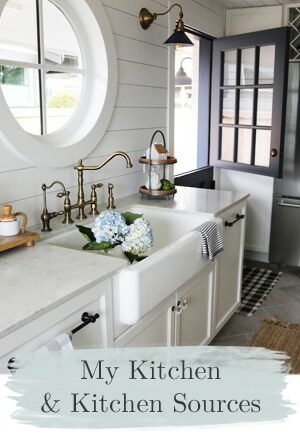 Pretty Organizers inspiring blog post..Kitchen BEFORE Shots…. BEWARE!! What a fun party! I had fun writing up a post just now on my Beautiful Life. It’s addicting to see the beauty. Blessings. I feel like I have been stalled and have not started my new year yet. I really need to take a day and figure out what I want and how to achieve beauty and balance in my life! Great post, Melissa. Thanks for doing this for all of us. I had a great week! I was very mindful of everything I did and I felt I led a pretty balanced life. Thank you, Melissa! I’ve struggled with balance this week. But sometimes you make progress in little ways and tomorrow is always a fresh new beginning. I’m remembering the beauty of my home in June right now. Roses blooming, blue skies, and just a hint of summer. Hi Melissa. Yes, I do think vacuuming counts as exercise. But I also think that unpacking boxes all week long and settling into a new home counts as exercise, too! An exercise routine will surface soon because you have it on your mind. I really enjoy your blog, it is a pleasure. sandys inspiring blog post..Balcony Girls, Mini Cherry Tarts and Hospitality! Thanks so much for your blog. I’m so glad to see that someone else is working on 12 habits in 12 months. I’ve decided that a year is too long to work at just one thing. -Mostly I’m afraid my focus will get lost or I’ll get overwhelmed at working the same habit. So, with that in mind, I’m working on smiling and thinking positively this month. I think if I build positive expectations into my life, all the other things I’d like to attain will be easier. 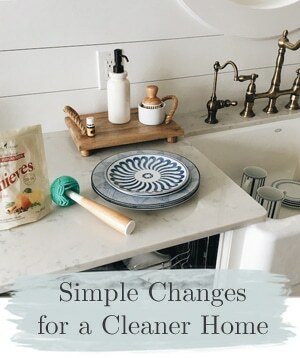 Again, I’m loving your blog and feeling challenged to work on my home and myself! Thanks. Thank for sharing and helping us ‘stay the course’. As we speak, I’m in clean up mode around here and it feels GREAT! I’ve got lemon scented Mr. Clean on the go, did all the dusting, shampooed my carpets and am now going to tackle the yard. All this because the men of the house are gone for the day. There’s an award for you on my blog! I love your posts and your blog. Thanks for the inspiration and reflection. That blends in beautifully. I usually don’t like that approach, but it really works in that photo. The silve blends in well too for the hardware. Love the photos and the words of inspiration and wisdom. We are just joining the world of blogging and on line selling and we are loving discovering all the amazing bloggers out there. Thanks! I came here via via …. but I am so glad to have arrived. What a wonderful idea…I have posted my monthly goals…I am off to make a wordl.